Fresh off the heels of the Paris Auto Show, Mercedes-Benz treats us to a sneak peek at the 2012 SLK. 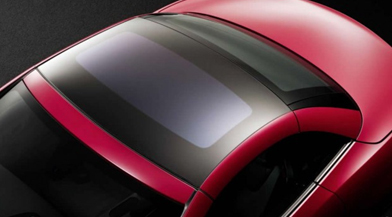 Slated for an unveiling at the Geneva Auto Show, the 2012 SLK gives a first look at the Magic Sky Control roof, an innovative sunroof design allowing to roof to be transparent or darkened depending on the weather—or your mood! Thanks to eMercedesBenz for the look!